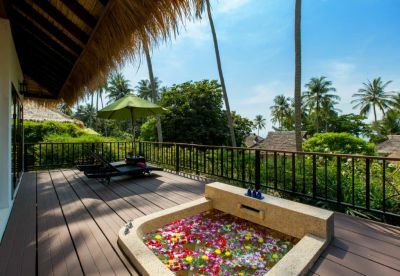 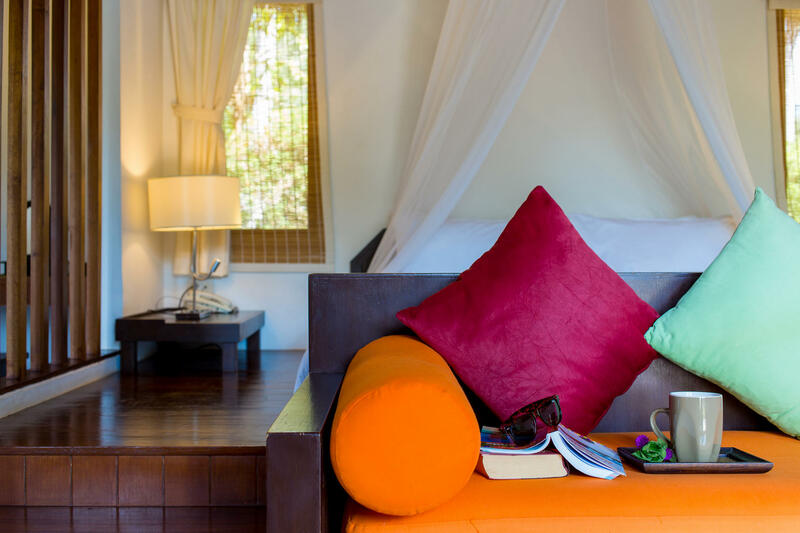 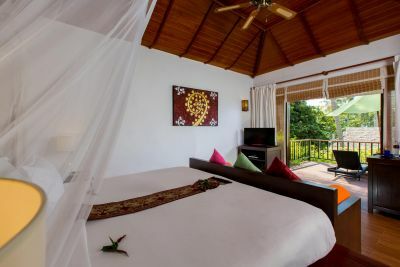 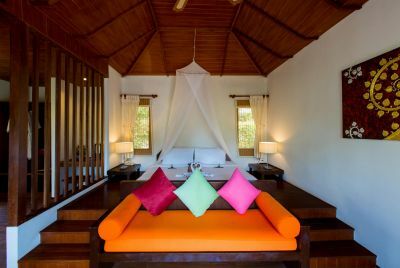 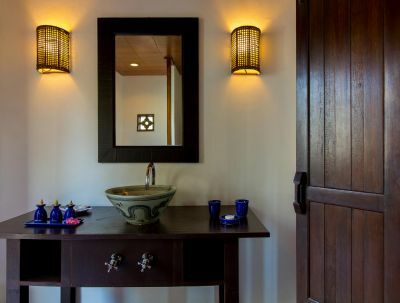 These charming 65 sqm villas are located on the hillside overlooking a lush tropical garden. Most villas have partial sea views and are ideal for those who enjoy spending their days strolling the beach, exploring the island or relaxing on the large wooden deck reading a book under a sun umbrella. 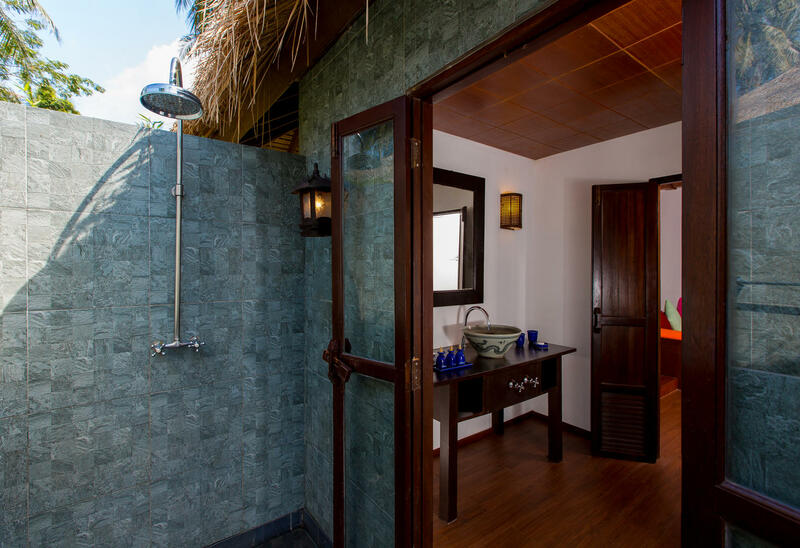 Enjoy your own outdoor honeymoon-sized bathtub and refreshing rain shower.